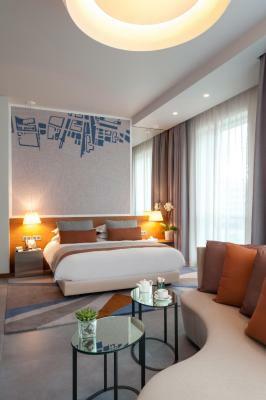 Lock in a great price for The Key Beirut – rated 9 by recent guests! The staff makes you feel at home from the very first moment to the last. The attention to detail and personalized care is a treasure. Lebanese hospitality at its best. professional staff, insanely comfortable bed, beautiful room colors, soothing lighting, linens and towels smell very fresh, all is spotless! 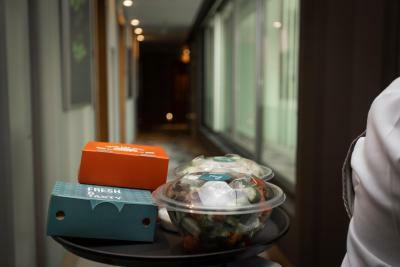 The entire experience : location, staff, room, food, price. Outstanding hotel, simply. Great hotel for a stay in Beirut. Easy checkin/ check out process. The hotel is new, very modern, rooms are clean, spacious, with all the facilities you'd need. Beds are extra fluffy and comfortable. It is really beyond my expectations. I have been in many 5 stars and 4 stars hotels in Beirut but none of them surprised me as the key hotel do. Modern still, very clean, well designed, very parking, very bicycle to use, free shuttle anywhere inside Beirut and reasonable price. For sure will be back to this hotel if ever in Beirut again. The bed was comfortable, and the cleaniliness and non-smoking policy was superb. 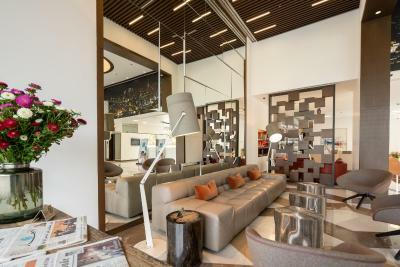 The Key Beirut This rating is a reflection of how the property compares to the industry standard when it comes to price, facilities and services available. It's based on a self-evaluation by the property. Use this rating to help choose your stay! 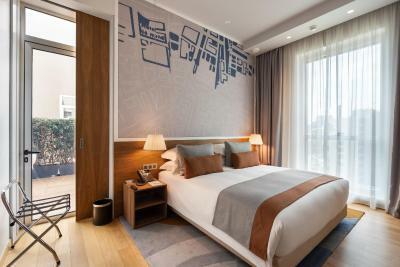 One of our top picks in Beirut.THE KEY Beirut is a centrally located four-star deluxe ApartHotel offering intelligently designed rooms and apartments for short and long stay guests.It's location makes it well placed for business people, tourists and families alike. Many of Beirut’s attractions are only minutes away on foot or a very short drive. Shopping malls, national museums and art galleries, nightlife and entertainment hubs, kid-friendly centers, and business hubs are all in easy reach. 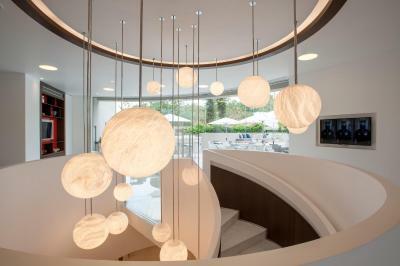 THE KEY’s spacious apartments and rooms are all air-conditioned, have an abundance of natural light, are soundproof and elegantly and thoughtfully designed. Each room and apartment has a living area and a fully equipped kitchenette. The accommodations also includes iron and ironing board, hairdryer, LED flat screen TV, telephone, a work and living space, and bathroom amenities. There is even laundry facilities in the basement. 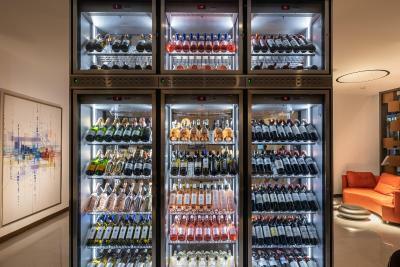 Dine at The Cellar, which serves an international and Asian inspired menu for lunch and dinner, along with a daily international breakfast buffet. 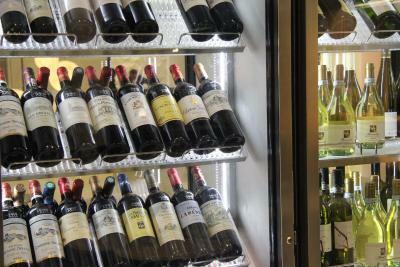 Hot and cold beverages, including fine wines and spirits, are also served. 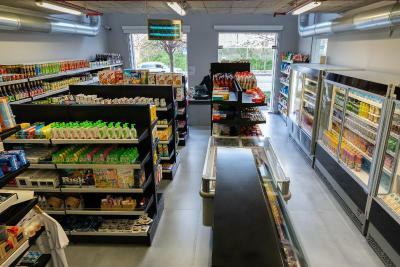 The Grocery Store is open 24/7 and provides all you need and at market prices. There are even board games for sale for those rainy afternoons. And don’t forget The Gym and The Key Spa and Beauty, so you can be continually at your best for your entire stay with us. Bicycles, along with helmets, are provided for free so you can easily visit the nearby attractions. There is also a free hotel car to take you anywhere in the city and back again. There are also more than 250 secured parking spaces, both below and on ground level. The KEY is a brief walk away from Beirut National Museum and lively streets of Badaro and Mar Mikhael. 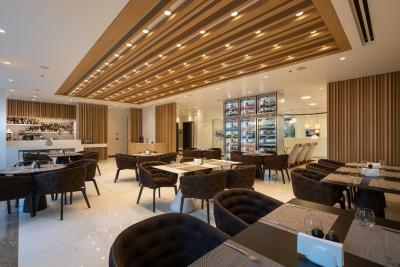 It is in proximity of Down Town Beirut and major business districts, attractions, shops, malls, restaurants and bars. Beirut International Airport is a 15-minute drive away. 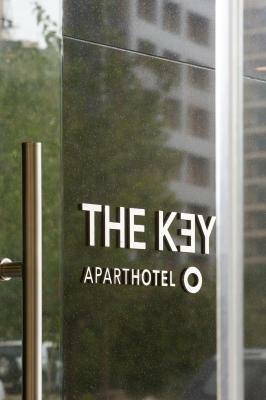 When would you like to stay at The Key Beirut? The intelligent designed makes this 98 ft² room appear bigger than it is. 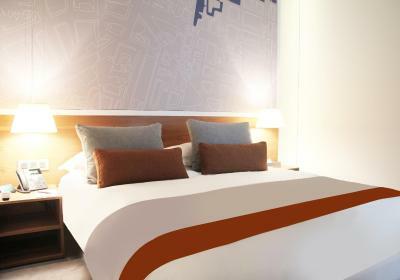 Air-conditioned and soundproof, the en-suite Deluxe Room is filled with an abundance of natural light, a king size bed has an additional memory foam mattress for that extra comfort. There is a seating area, fully equipped kitchenette and a large flat-screen TV entertainment center. Additional facilities include ironing facilities, including a trouser press, room safe and free unlimited WiFi. The spacious 164 ft² Junior suite has one large double bedroom, large seating area, and a fully equipped kitchenette, all of which have been intelligently thought out. The large curved shaped window offers fabulous views. The bathroom also has a bath tub and separate walk-in shower and the bed has an additional memory foam mattress for that extra comfort. There is rotating flat screen TV entertainment center, along with ironing facilities, including a trouser press, room safe and free unlimited WiFi. The 50-180 ft² air-conditioned Deluxe One-Bedroom Apartment is ideal for families since there is a perfectly designed high quality sofa bed in the well-appointed living room. The spacious bedroom features a bigger than average double bed that has an additional memory foam mattress for that extra comfort and there is a walk-in closet. 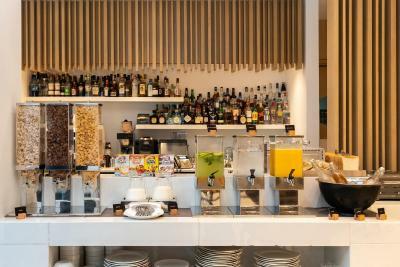 There is a breakfast bar adjacent to the well-equipped kitchenette. 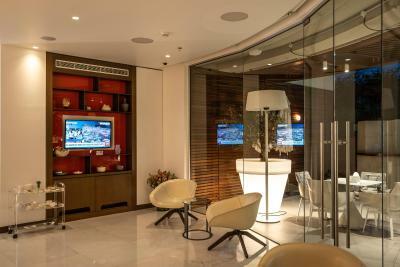 In addition, there is a flat-screen TV entertainment center, ironing facilities, including a trouser press, a room safe and free unlimited WiFi. The spacious and intelligently designed 246 ft² family apartment has two bedrooms, one with a king-size bed, the other with two single beds. All beds have an additional memory foam mattress for that extra comfort. Natural light pours into the spacious living and dining area, which has a flat-screen TV entertainment center. The living area also includes a stylish large sofa bed. The kitchenette is fully equipped and has a dishwasher. Additional amenities consist of ironing facilities, including a trouser press, a room safe and free unlimited WiFi. The 50-180 ft² air-conditioned one-bedroom apartment is ideal for families since there is a perfectly designed high quality sofa bed in the well-appointed living room and a well-equipped kitchenette. The spacious bedroom features a bigger than average double bed that has an additional memory foam mattress for extra comfort. 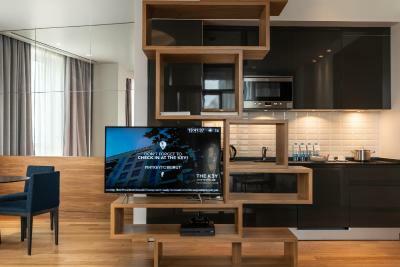 In addition, there is a flat-screen TV entertainment center, ironing facilities, including a trouser press, a room safe and free unlimited WiFi. The Family one Bedroom apartment is ideal for families of three with children and consists of one bedroom, one living room and a fully equipped kitchenette including an induction hot plate cooker, microwave, refrigerator, glasses, crockery and cutlery, Bathroom Amenities, Iron and Ironing Board, LED flat screen TV in living area and bedroom, Safe, Hairdryer, Individually controlled air conditioning, Complimentary Tea and Coffee tray, Complimentary use of Gym, Complimentary use of bicycles and Free transport within Beirut from 7 am till 1.00 am (upon availability). Some of the Family One-Bedroom Apartments come with a balcony, kindly request it during the reservation and we will do the best to provide it to you upon availability. - 15% on your F&B Bill. 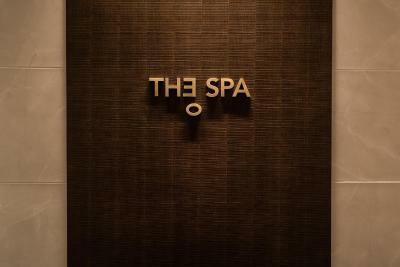 - One Complimentary 30 minute massage at the KEY SPA. The intelligent designed makes this 98 ft² room appear bigger than it is. 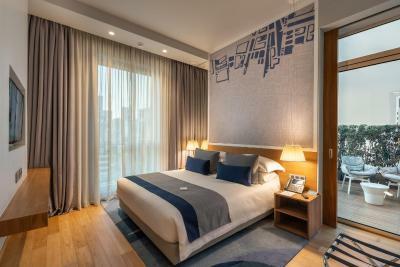 Air-conditioned and soundproof, the Deluxe Room has an abundance of natural light, features an private bathroom, a seating area, fully equipped kitchenette and a large flat-screen TV entertainment center. The twin beds have an additional memory foam mattress for that extra comfort Additional facilities include ironing facilities, including a trouser press, room safe and free unlimited WiFi. This extremely spacious and intelligently designed air-conditioned luxury 574 ft² apartment is located on The Luxury Floor and is ideal for families. It comes complete with a large family-size terrace and a balcony. The stylishly appointed and naturally well-lit apartment includes two large bedrooms, two master bathrooms, a well-equipped kitchen, a large dining area and a lounge with flat-screen entertainment center. All beds have an additional memory foam mattress for that extra comfort. There are ironing facilities, including a trouser press, a room safe and free unlimited WiFi. 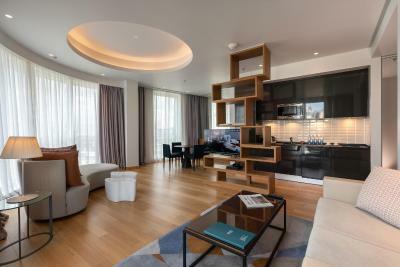 Located on the Luxury Floor, this intelligently designed and air-conditioned luxury one-bedroom apartment is a spacious 164 ft². The living room has lots of natural light and a flat-screen TV entertainment center and the bed has an additional memory foam mattress for that extra comfort. Additional amenities consist of ironing facilities, including a trouser press, a room safe and free unlimited WiFi. Located on the Luxury Floor, the intelligent designed makes this 98 ft² room appear bigger than it is. 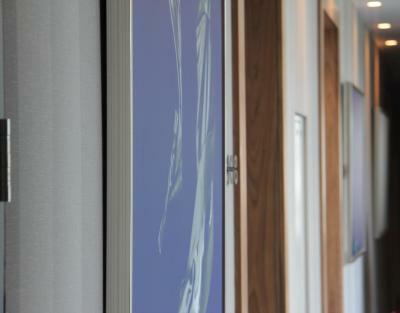 Air-conditioned and soundproof, the Luxury Room has an abundance of natural light. The room features an private bathroom, a seating area, fully equipped kitchenette and a large flat-screen TV entertainment center. The bed has an additional memory foam mattress for that extra comfort. Additional facilities include ironing facilities, including a trouser press, room safe and free unlimited WiFi. Located on the Luxury Floor, this intelligently designed and air conditioned luxury one-bedroom apartment is a spacious 164 ft² and has a good size terrace and a balcony. The bed comes complete with an additional memory foam mattress for that extra comfort. The living room has lots of natural light and a flat-screen TV entertainment center. There is a breakfast bar adjacent to the well-equipped kitchenette. Additional amenities consist of ironing facilities, including a trouser press, a room safe and free unlimited WiFi. House Rules The Key Beirut takes special requests – add in the next step! The Key Beirut accepts these cards and reserves the right to temporarily hold an amount prior to arrival. The Key car service offers free drop off and pick up within Beirut from 7:00 AM until 1:00 AM. The breakfast buffet needs more variety as the current selection is very limited. the staff put us in the worst room and lied to us and said it's our best room with a big fake smile. there was no safe in the room no water hose for the toilet, not even toothbrush!. the Tv channels are poor. The breakfast is very bad and very limited. The price is way high considering the hotel services and level of comfort. The water in the room is not complimentary, they will only give you two bottles on the first day and that's it!. Very cheap Hotel. The Staff is NOT friendly always giving you a yellow smile in the convertible sofa is SO BAD and not comfortable at all, I had to sleep on the Sofa, it was better than the bed! Nothing, worst hotel I've stayed in ever! I liked the room furniture and the restaurant and the reception stuff they are very friendly specially yara. The staff are amazing specially Raya! I called to ask for early check in as my flight arrived early but I was informed that they can’t and this was okay as I can’t force them but what wasn’t acceptable is that I after two hours from check in time I was informed that room is not ready and I had appointments and needed the room to refresh and change so I couldn’t so I had to take my bags and leave with same cloth and come back to my room at night only to sleep. This thing messed everything for me. The panoramic view of the city, as well as the free bikes and taxi that the hotel offers. Perfect property for business travel. Walking distance is not close to shops, restaurants and malls.